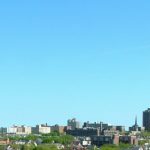 Here’s an update on current status of the downtown Milwaukee condo market, as of the first of the year. Unit sales are up, by about 10%. Inventory is still shrinking, and stands about half of what it was in 2011. The greatest unit sales increase was in the $400,000 and under portion of the market. This accounted for just over 80% of the unit sales. We are now seeing units that didn’t sell in 2011 and 2012, some of which spent a year out of the market as rentals, now being re-listed. And some of these are getting an offer to purchase within a relatively short time. One unit in particular, at an upscale building in the Gold Coast, first came on – then lingered in – the market in 2010, was rented for a year, was recently re-listed and then had an A/O (accepted offer) in just 12 days. Call me to discuss your own options, buying or selling, this new year. I’m always open to your questions.